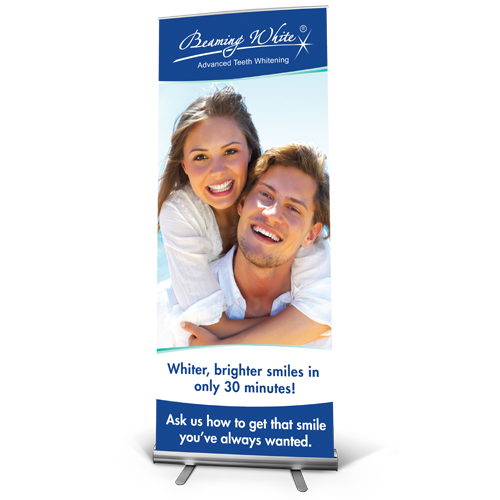 When you really need to let people know about your teeth whitening business, nothing works like a banner to attract attention. 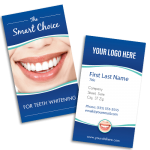 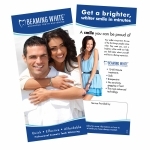 Banners are especially good for mobile teeth whitening or for trade shows since they are extremely light weight, compact and set up literally in minutes. 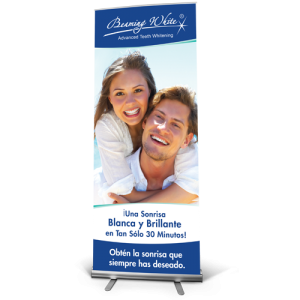 Our banners are made of an aluminum casing into which the banner retracts by itself, so all you have to do is let it roll itself back in when you want to put it away. The banner measures 32 x 79 inches plus the height of the stand. Banners help potential customers understand what you are offering and at the same time give you a more professional image. If you are mobile or have the space at your fixed location, we highly recommend them. 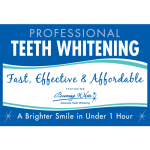 They really do pay for themselves in a matter of days.